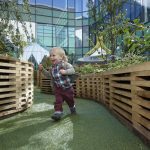 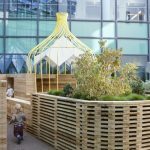 Part of a wider concept to build a ‘Hospital in the park’, with access to fresh air and greenery; the Steven Gerrard Foundation garden brings nature into the heart of the Alder Hey Children’s hospital. 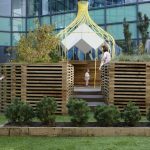 The design acts to distract children from their current situations by providing a rich environment for exploration, discovery, interaction and sociability. 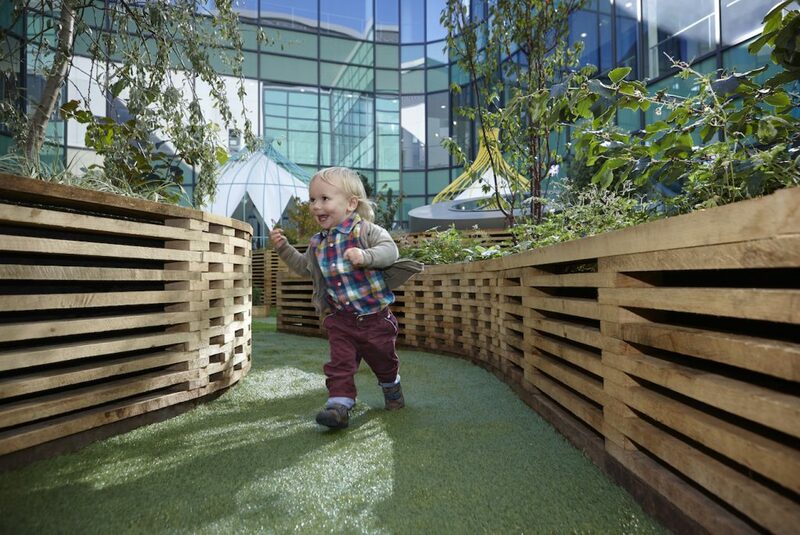 At low level, a series of nest-like planting beds made of green oak provide the perfect habitat for little ones to hide and seek. 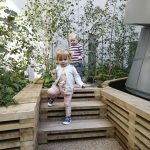 Planting is brought up to child eye level. 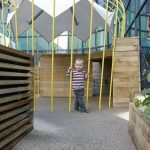 Above this woven landscape rise three steel domes containing stretched membranes resembling chrysalis. 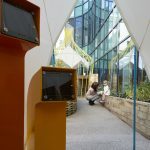 These shelters provide quiet, reflective areas for story telling and integrate coloured lighting and interactive digital animations to provide stimulation at night and in bad weather. 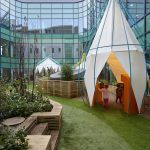 The project hides many constraints including weight (it is a green roof above a hydrotherapy pool), parking space for a giant cherry picker, various inconveniently placed light wells and a tight design/build period of four months from appointment to hand over.